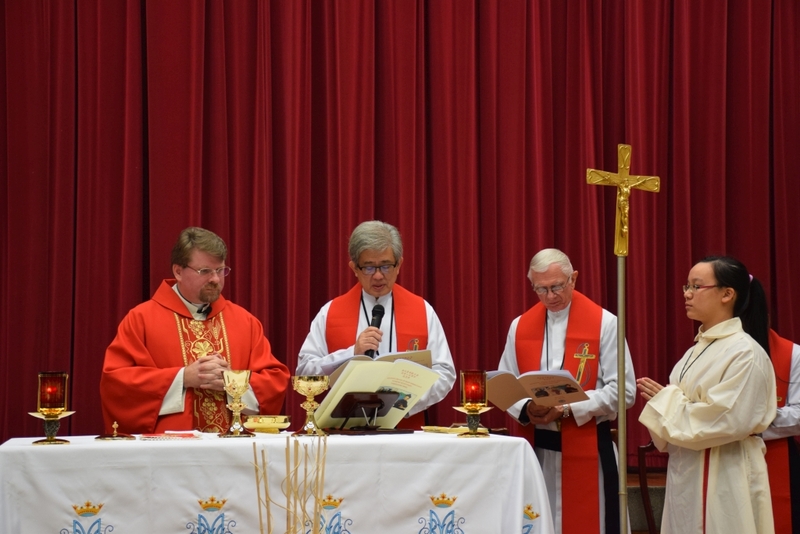 On January 25, 1816, Eugene de Mazenod and companions moved into primitive conditions in an old building in Aix, in France, to form a group that would become the Oblates of Mary Immaculate. 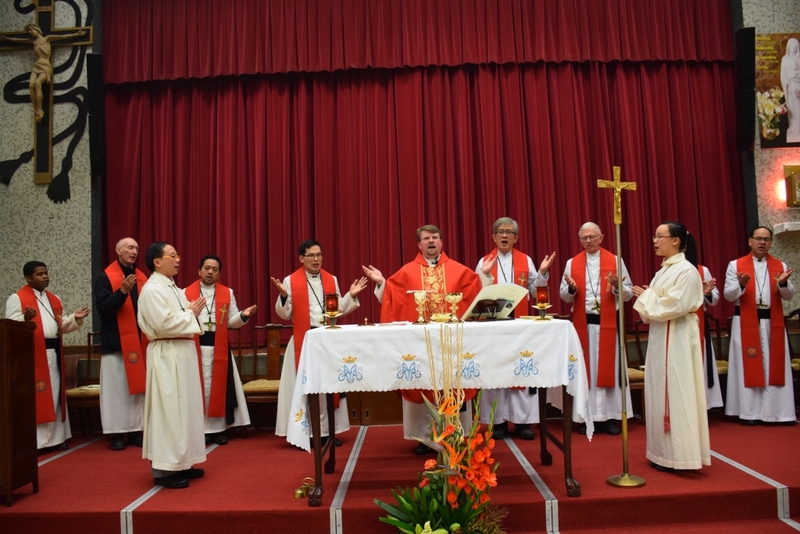 On January 25, 2016, Oblates around the world celebrated the 200th anniversary of the birth of our congregation. Pope Francis sent a special message of congratulations and prayer. 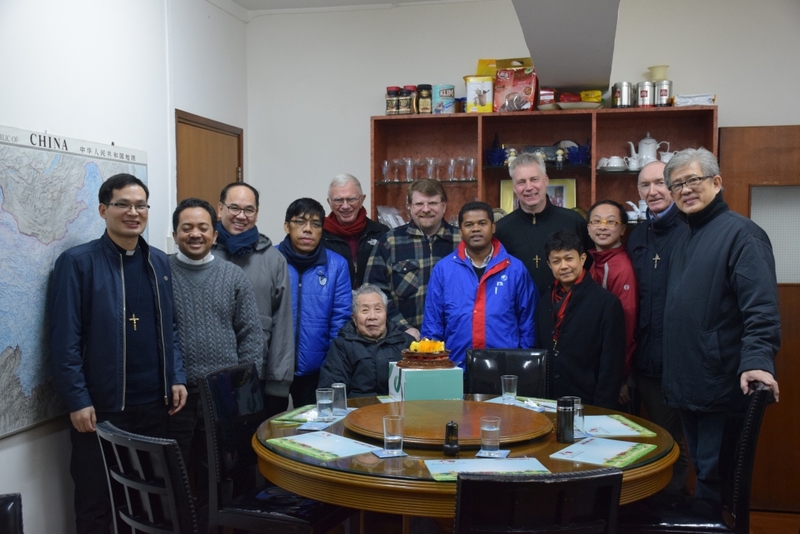 In Hong Kong 12 Oblates who work in HK and China gathered at Notre Dame College in Kowloon on January 25 for a day of sharing and prayer, culminating in an evening Mass and meal with Oblate associates and friends. 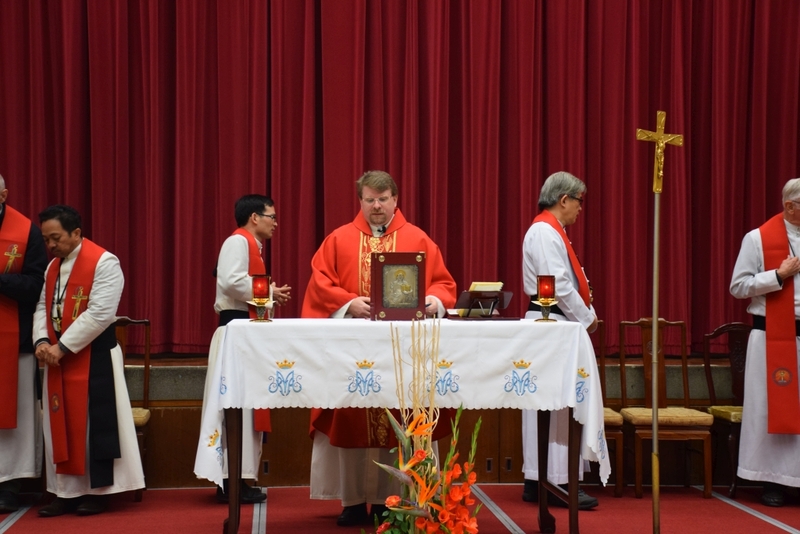 During the Mass, Delegation leader Fr Slawek Kalisz O.M.I. 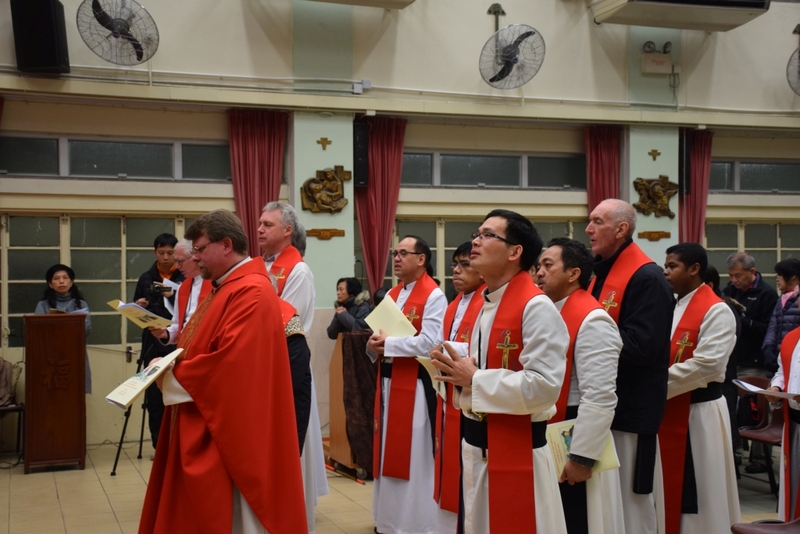 gave thanks to God for all the blessings of the past 200 years, and thanks to the associates and friends who support the Oblates in China and HK. 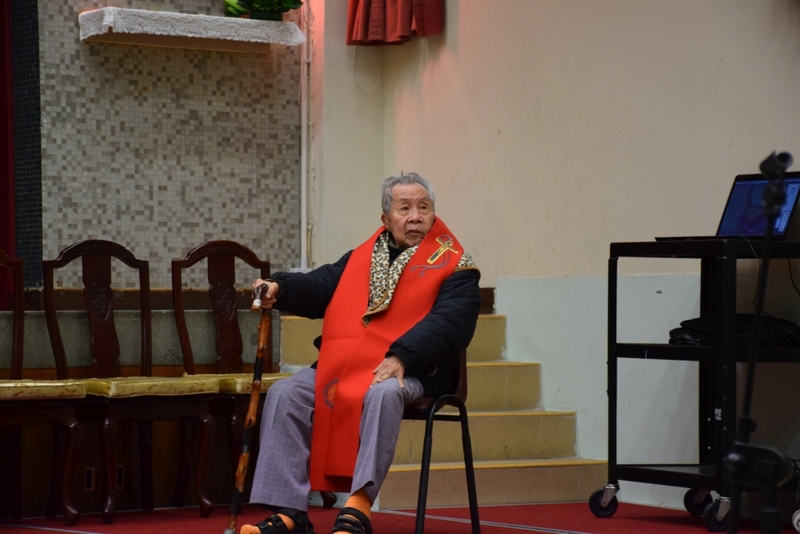 January 25 was also the 90th birthday of Fr Peter King O.M.I. 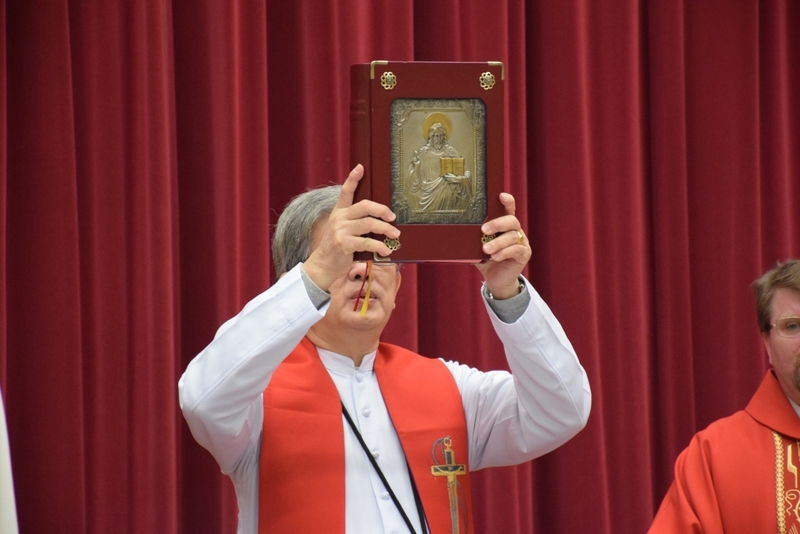 who was a concelebrant at the Mass. 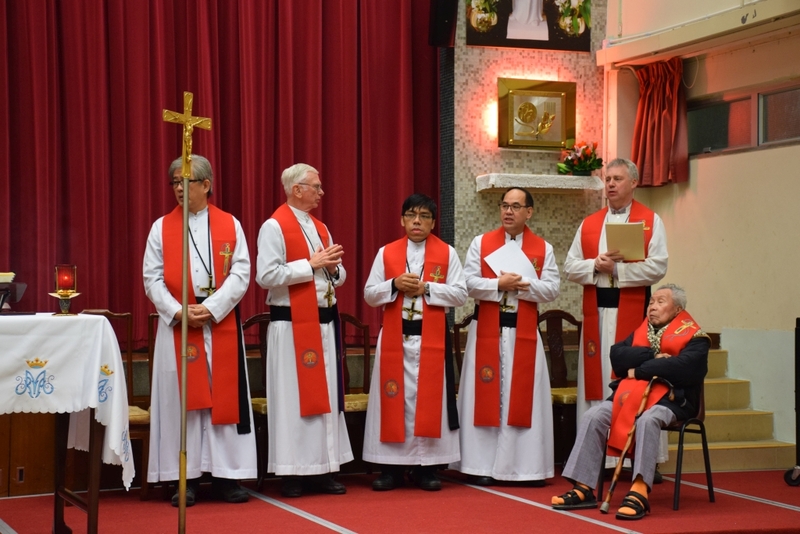 Fr Slawek led everyone in wishing Fr Peter a Happy Birthday, pointing out that Fr Peter was celebrating his 90th, not 200th, birthday!